Wine Wipes Now In Store! A brand new product, or little essential as we like to call it has just landed in our Bridal Survival store! 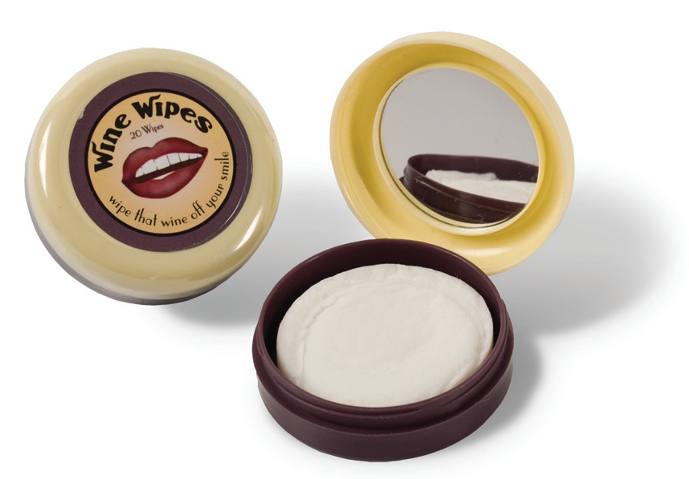 Wine Wipes are a brand new product designed to eliminate stains and marks from your mouth and teeth caused by red wine. We’ve heard of many brides avoiding red wine on their wedding day just so they can keep a clean face, so with this in mind, we knew Wine Wipes were the perfect addition to our store! Each compact sized container has a mirror inside the lid and contains 20 orange-blossom flavoured wipes to wipe away wine from your teeth and mouth. Wine Wipes are available now in the Bridal Survival online shop.